My artwork is an exploration into the reusability of manufactured objects that no longer have a purpose. I work primarily with metal objects, more specifically old tools, car parts, and various other mechanical pieces. The readymade shapes that these metal objects have in a way are a puzzle that must be solved. How things fit together to create new shapes is the basis of my art. Solving the metal puzzle to create art is what I push myself to accomplish. I believe that everything can be reused rather than discarded. 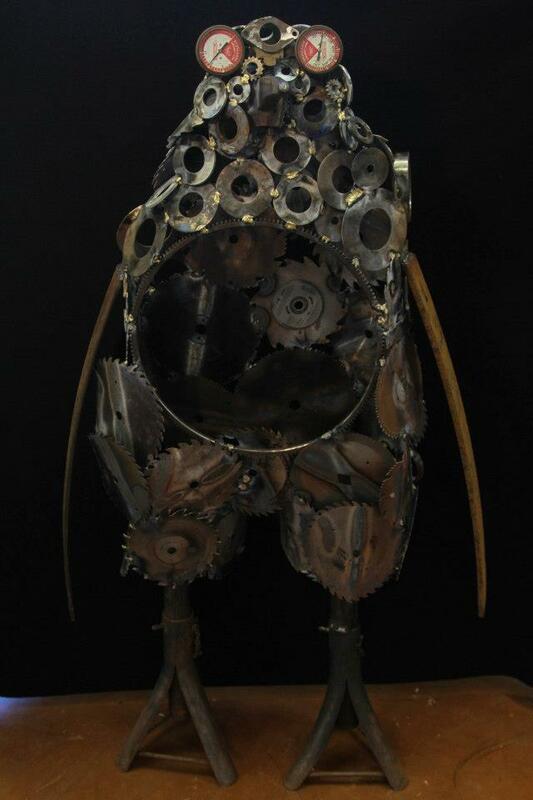 By collecting what some consider scrap metal, I am able to erect life-size sculptures made completely of recyclable material. While sculpting I often consider nature, more specifically animals, I believe that by taking what would ordinarily be considered trash, and turning it into something people can recognize they will reconsider what is trash and how they can change their footprint upon the earth.